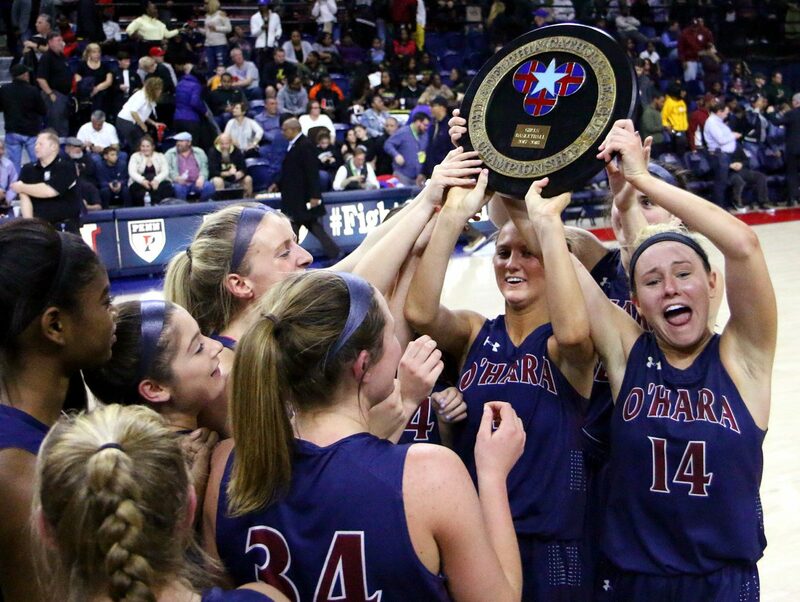 Talk to members of the Cardinal O’Hara girls’ basketball community — players, coaches, parents, fans, reporters, etc. — and ask them to summarize the Lady Lions. 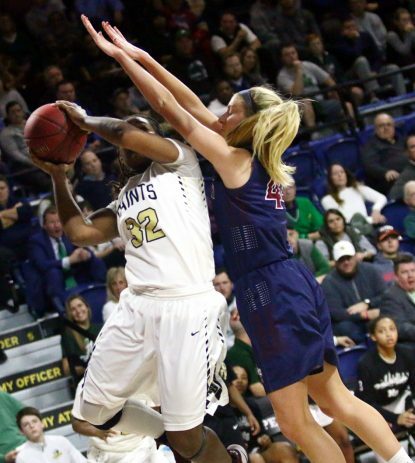 In the Catholic League girls’ basketball championship Feb. 26 at a packed and spirited Palestra, O’Hara embodied all of those compliments and defeated Neumann-Goretti, 54-39, for its second consecutive title. Halfway through the third quarter, it appeared as though the Saints’ athleticism and penchant for rebounding would be too much for O’Hara. N-G, which went a perfect 12-0 in the Catholic League during the regular season and had defeated Archbishop Carroll on a late three-pointer in the semifinals, engineered a 30-21 lead after a drive inside by senior CL Most Valuable Player Jabria Ingram with 3:26 remaining in the third quarter. Unbelievably, Cardinal O’Hara would go on to outscore Neumann-Goretti by 33-9 the rest of the way (and 25-8 in the fourth quarter) as coach Linus McGinty increased his O’Hara title total to 11 and called this “one of the more special ones” as he glanced proudly at three of his key seniors. O’Hara, and particularly Hendrixson, was almost comical at the foul line. Taking full advantage of second-half foul trouble for Neumann-Goretti (17-7 overall), the Lions (20-4) attempted 35 free throws and connected on 30. 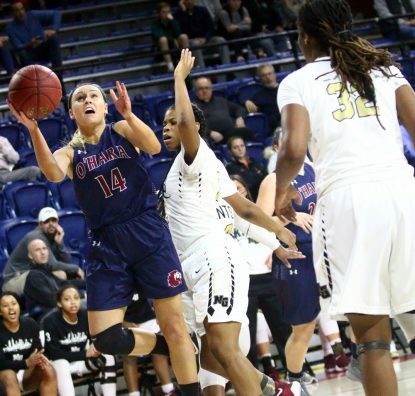 In the fourth quarter alone, O’Hara made 19 of 22, with the Drexel University-bound Hendrixson drilling 11 of 12 on her own and 13 of 14 for the game en route to a game-high 26 points. Hendrixson scored four points in a span of 11 seconds to turn a 32-30 deficit into a 34-32 lead, one O’Hara would never relinquish. Hendrixson’s backcourt partner, senior Kenzie Gardler, was also outstanding. The Villanova University signee scored in every quarter. She finished with 17 points and six rebounds, converted 8 of 10 from the line, and stood tall when N-G attempted to force her to the sideline. Senior Molly Paolino scored three points and stole three passes, and her defense on Ingram (season-low nine points) turned the tide. Among the underclassmen, junior Kerry Patterson (four points, two huge free throws with 3:14 remaining) will be counted on for a three-peat next year. But first things first — this was a time to celebrate and reflect. Patterson lauded O’Hara’s senior leadership. One of those six seniors, Gardler, was asked what advice she would give to O’Hara’s underclassmen.